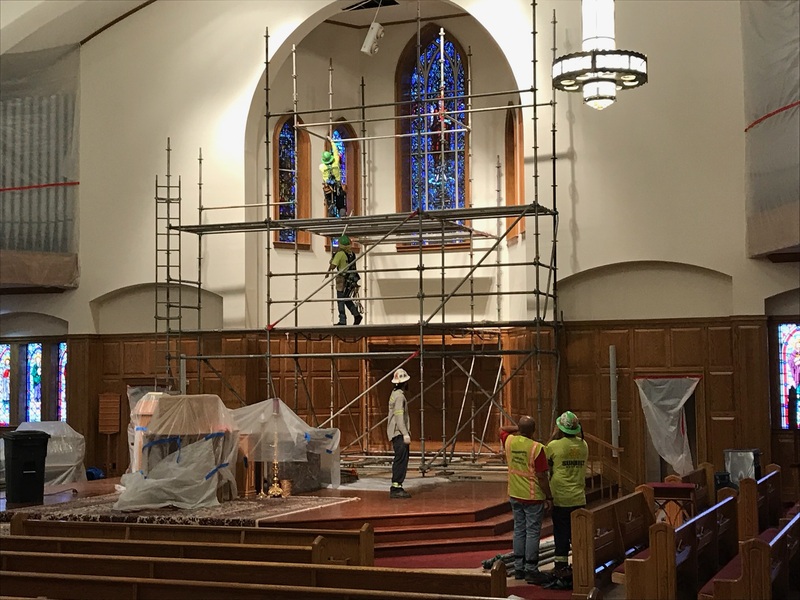 Woodard Cleaning & Restoration continues to help people get back to their lives after Hurricane Florence caused devastation to parts of North Carolina. Woodard's Emergency Response trailer carrying equipment to help our partners. Woodard Cleaning & Restoration continues to help people get back to their lives after Hurricane Florence caused devastation to parts of North Carolina. Days prior to the Hurricanes land fall, Woodard was in route with our Emergency Response trailer carrying equipment to help our partners. Once Hurricane Florence made her arrival and building owners could asses the damages, we quickly deployed teams. Woodard was one of the first restoration companies on scene and ready to begin work. “We’ve deployed all members of our Large Loss Catastrophe Team which includes project managers, administration, and production crews. The expertise and years of knowledge that our team contains is unheard of for most companies.” said Dave Christoff, Chief Revenue Officer. 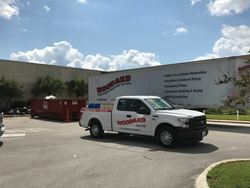 Woodard’s equipment was quickly placed at a local mall in Jacksonville, North Carolina to aid in the extraction and dry-out process. 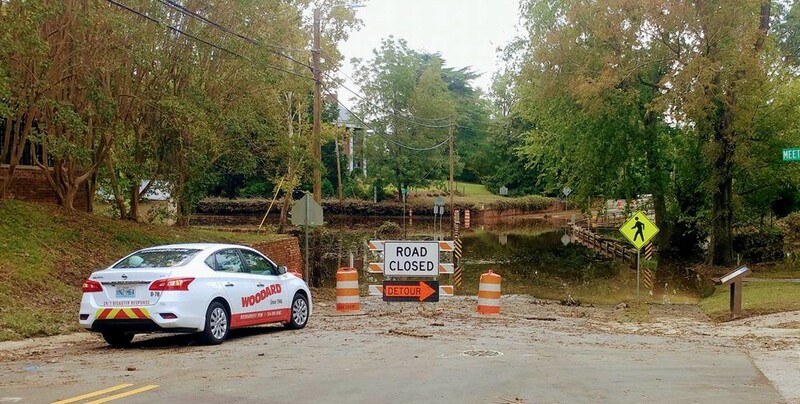 Our crews worked in four cities throughout North Carolina, including areas along the coast as well as communities more inland. Across these locations we had crews on scene at a number of properties working to return them to pre-loss condition. One property that our crews were in experienced heavy water damage in which they removed all wet dry wall to ensure the building is properly dried out and no risk of further damage. Woodard meets a flooded road while en route to a facility.Often times, access the buildings we needed to get to was difficult due to a number of flooded roads. Woodard crews remove dry wall.One property that our crews were in experienced heavy water damage in which they removed all wet dry wall to ensure the building is properly dried out and no risk of further damage.